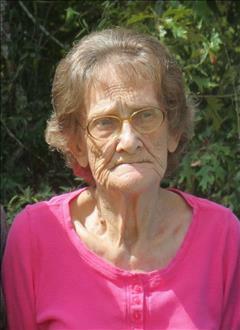 Minnie Francis Steinmann, age 84, passed away Monday, July 30, 2018 at Serenity Place following a brief illness. Minnie was born March 14, 1934 in Hazlehurst, GA. She was the daughter of the late Emory and Ada Francis. Minnie was a loving mother and “Granny.” She enjoyed her flower garden, bird watching, (especially hummingbirds), and her cat, Tiger. -Sisters: Dorothy Francis, Mary Quaife, and Margie Morgan. A memorial service will be held at a later date. In lieu of flowers, donations can be made to Buckhorn United Methodist Church, 2293 Chicken Road Dudley, GA 31022.